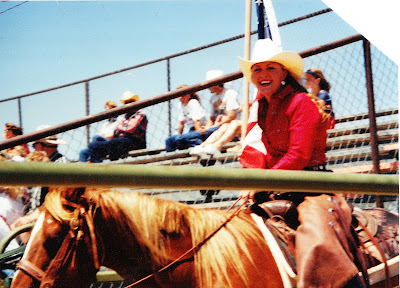 I used to be a RODEO COWGIRL! Yep you heard me right…the wrangler wearin’, cowboy lovin’, barrel racin’, calf ropin’, country song lovin’ cowgirl! 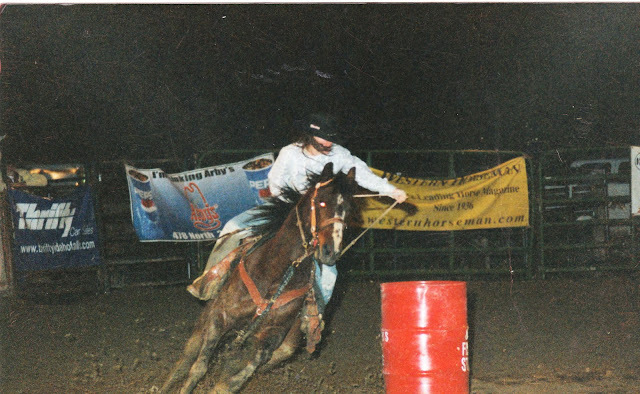 My senior year I quit rodeo…like dead, over, gone, QUIT! If you know me at all you know that I’m not a quitter…in fact I am some what of an overachiever. No, I am not tooting my own horn I am just stating a fact. I was involved with basketball, volleyball, softball, rodeo, 4-H, 4-H government, choir, student government, honor society, SOS (singers on stage) and renaissance on and off throughout junior high and high school. When I first found rodeo it was like a new found love! I couldn’t get enough of it. All I wanted to do was rodeo! I practically lived at the arena. At night I had a notebook by my bed where I would write down all my goals for the next day. Rope the dummy 50 times, practice my tie 25 times, ride all my horses for an hour, etc. My senior year came…I had gone to state the year before, was Wrangler All-star team captain (I know you don’t know what that is but it’s a big deal) and had worked hard…expecting to go to state in all the events again I was sitting pretty for a great year! It wasn’t only about being good it was about my love for it. 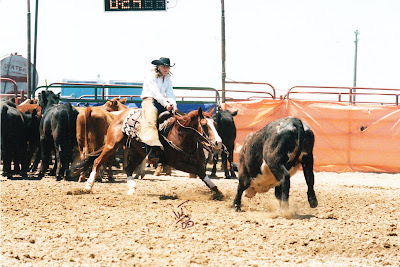 The smell of the fresh raked dirt in the arena, the feel of the reins in my hands, the chills I got on the back of my neck right before I entered the arena. I have waited a really long time to publish this post. Because it’s just plain hard to talk about it. It makes me look weak but maybe just maybe if I talk about it…I won’t be as weak as I seem. To be frank and down to the point…I made some bad decisions during high school. It was no one’s fault but mine. I became someone that I’m not…someone that lied to their parents and wasn’t doing what was right. When I had finally hit the last straw. I was broken, defeated and ruined. I knew the only thing left to do was change. I knew I had to be forgiven. I had to completely change my life. But first I had to tell my parents…I needed their help. If I was truly going to change they needed to guide and help me through. They were shocked and mortified when I sat them down and told them everything. Rodeo was OUR thing…when we didn’t have blood to bond us…rodeo did. Somewhere, something inside me told me it was easier to just quit. When I think back all I had ever wanted was for him to be there every step of the way. And when I had the opportunity to make that happen I threw it away. That was the beginning of the roughest road of my life. I had to let them know that I wouldn’t be there for the first rodeo of the season. I told all my friends and rodeo coaches and colleges that it was my parents decision and that they were MAKING me quit. It was an easy way out. I didn’t have to explain why I literally HAD to quit for my own well being. If there was one thing I would take back about my life it would have been that act! but blaming it on my parents. I’m not really sure why I thought I could get away with it. 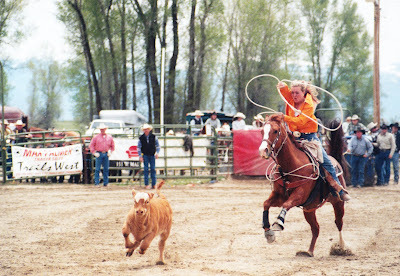 The second I told my roping coach she was on the phone with them desperately trying to plead my case. 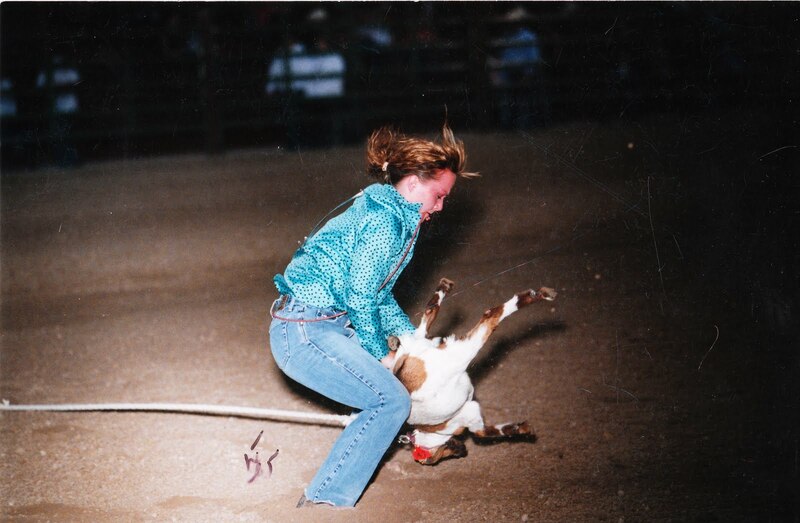 She loved me…like all the rest of my friends in rodeo. 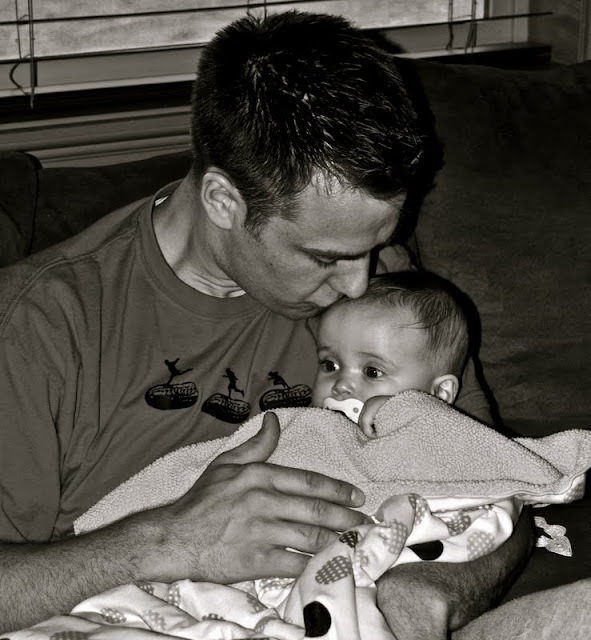 When I sat with my parents that night my world turned upside down. Not only had I lied to all that cared about me but I lied to the only 2 people that could comfort me and strengthen me when everyone else was gone. They were betrayed by their daughter. They were there for love and support…turning away everything else in their lives to be there for me and I threw it right back in their face. I remember crying in the living room as my dad told me he couldn’t believe what I had done. from that day one my life has never been the same. Those friends and colleges felt betrayed and ridiculed by me. They didn’t talk or call me. I found myself alone because I had burned bridges too big to rebuild. I literally dug myself in a hole so deep that no one could help me out of…even if they had tried. She tried to be there for me and tried to understand what I needed but she couldn’t help. I had to face this on my own. I decided I wasn’t even worthy enough to have friends so I cut out everyone else, I did what I had to do. I made it through the rest of my senior year with regrets in my heart and emptiness on my face. That summer I joined my sister and her husband in a town north of mine and worked as a horse guide an hour away. I spent many nights and days on my knees. I spent hours in bed, in the shower, in the car crying…just crying. I took the time on the drive up and back from Island Park to ponder and search in my heart to try and find the reasoning behind the actions I had been doing the last year. desperately pleading to have everything go away. I didn’t talk to friends. For 3 months I lived virtually alone with my Savior as I tried to right the wrongs I had committed. I went through my own ‘hell’. I was fragile and damaged. Then the end of the 3 months came and the weight had been lifted. I was getting to the point that I could feel strong enough to confront those people that I had hurt. and I made amends with some of my friends. But to this day there are a few that I have yet to talk to. I didn’t go to a rodeo for years. I was too embarrassed and ashamed. I finally went to one to watch my friend Hannah and found that is wasn’t as bad as I had thought it would be. People were kind and I gave a hug to a friend that I had missed. Time is healing the wounds that I thought would never scar. I went to my trailer and cleaned it out. It had been almost 6 years since I had touch that tack room door. And as my tears splashed the dust away from my saddle I finally felt OK. When Jeff hears me tell stories about rodeo he feels as if I am talking about another person. Apart of me wishes he had known me back then. He wants to see me ride. He thinks it will help continue the mending. It feels good to ride in front of him and show him what my life was all about for so long. It isn’t painful to think about going back there anymore. I can watch the NFR on TV now without getting flushed and embarrassed and switching the channel. I can listen to country music. I can go to rodeos. Just a few months ago I even taught a girl how to goat tie. Nothing could take back how I betrayed those that I loved. And I hope someday they will know just how much they meant to me. How much I love them. How I really am sorry. I wish that I had closed that chapter in my life with an ending instead of a battle. I wish even more that I had never done those things to myself. That I hadn’t put myself in vulnerable situations. But SINCE I did what I did. I CHOOSE to be a better person from it. I CHOOSE to learn from it. I CHOOSE to be strong. I CHOOSE to help other struggling teens with the fight against the world. I CHOOSE to keep it as a memory so I can remember how it felt to go through what I had to. To ensure that it will never happen again. My love for rodeo will NEVER go away. It’s time for me to stop associating rodeo with the things that I had done. It’s hard to explain to people why I quit but maybe that’s OK.
No one will understand that struggle in my life but my Heavenly Father and I. Just like I won’t understand what other people struggle with. it’s learning to rise from the dust that makes someone exceptional. AND I WILL BE EXCEPTIONAL. I refuse to let the adversary win. Someday that scar will disappear forever and the memories I hold onto will become like a stranger to me…part of a different life. I will have horses again. I may not compete again but maybe my children will. I want that apart of my life. so I will embrace it. It will ALWAYS be there for me. 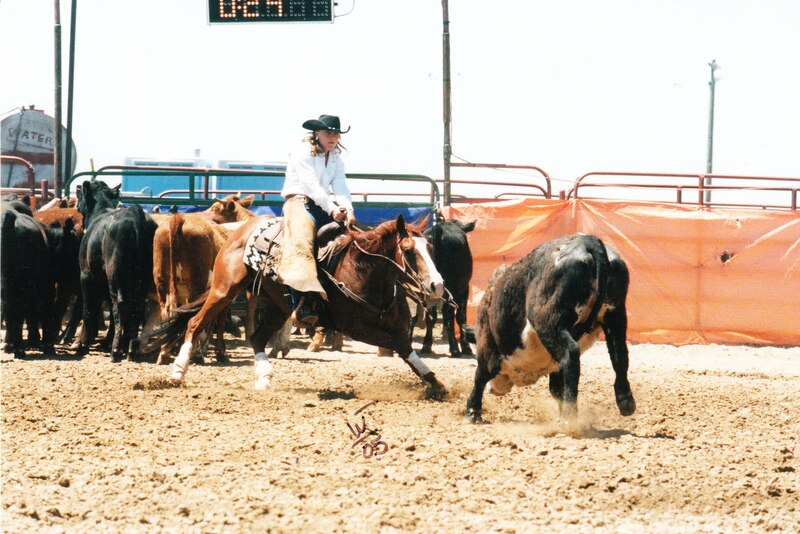 It’s apart of my blood and I am going to have that rodeo dirt deep in my bones for the rest of my life. Stand up and fight against that struggle that has been pushing you down. You are strong enough to defeat whatever trail comes your way. I know that without a shadow of a doubt. It’s because YOU ARE FIGHTING. Never stop striving to become the best you can be.